Television has created catchphrases, fashion trends and classic theme songs, but it hasn’t tried adding many holidays to the calendar. The only one that caught on is Festivus, introduced on Seinfeld. The O.C. tried to make Chrismukkah work but it had little pop culture impact, despite the steady encroachment of some Christmas traditions into the Jewish faith. However, there’s one other TV-inspired holiday that is celebrated by a small but loyal contingent of classic television fans – particularly those over the age of 40. It has but one inspiration and one tradition, and it has its origin in a short-lived series that few people watched and less remember. On January 2, 2013, I invite you to join me in celebrating Fake Jan Day. The holiday was created by fans of The Brady Bunch Variety Hour, an ill-fated attempt to revive the popularity of the Bunch with a new series featuring singing, dancing, and water ballet. All of the original series’ cast returned except for Eve Plumb, who was replaced by a lithe teenage beauty named Geri Reischl. Since then, Reischl has forever been immortalized as Fake Jan. 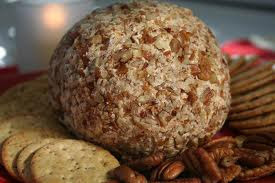 There is only one tradition associated with Fake Jan Day, and that is the purchase and consumption of the holiday’s official food, the cheese ball. If you have to ask why this particular delicacy was chosen, you have clearly never watched The Brady Bunch Variety Hour. Why January 2? If you look at that date on many calendars it is abbreviated as “Jan 2” which is another way to describe Geri Reischl’s altar-ego. Reischl, by the way, is completely on board with this unconventional tribute, and proudly serves as the charismatic ringmaster for her own silly circus. With her ever-growing numbers of Facebook supporters (more than 5,000 and counting), and the unpredictability of what may capture the fancy of social media, Fake Jan Day already has the potential to spike cheese ball sales at Hickory Farms. What I like most about Fake Jan Day is that it is goofy, immature and utterly pointless. We’re all getting too busy in our lives to make room for such things, so when an opportunity presents itself, go for it. You’ll feel better in the morning – unless your cheese ball surpassed its shelf life.